Timur Gadelshin was born in artist's family and grew up surrounded by canvases, paints, sculptures and other art things. The cultural orientation of his father as artist always was underground and this naturally influenced Timur’s views on the world and life. All this logically led him to freelance. After working for some time in the field of film production Timur came to the conclusion that only individual creativity gives complete freedom. And nonstandard Art gives even more freedom. This is the Way which possibly have not too many footprints of those who have gone before. So the idea of Aogami was born. 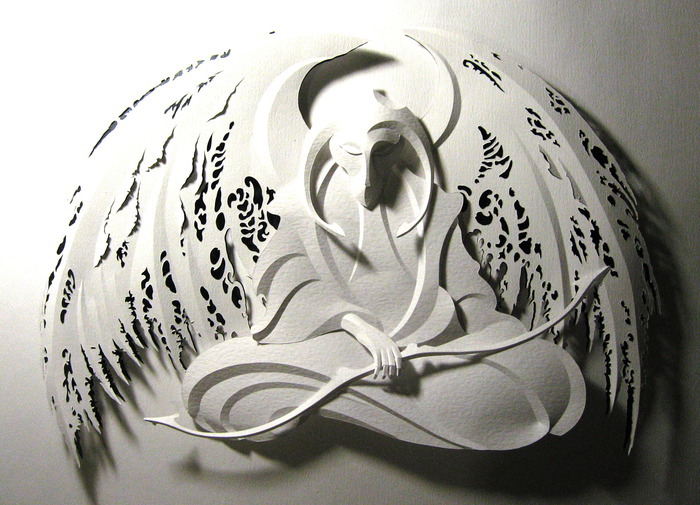 Art of AOGAMI is a synthesis of techniques from graphics, sculpture and painting based on the methods of working with paper in Japan, China, Korea, and Timur’s own know-how.